On Saturday May 4th, 2019, we’re holding a book fair in Whitby, Ontario called BookMarkIt! What’s a book fair? It’s where authors come to sell their books. It’s where people come to sell products related to books. It’s where yet others come to peruse these wares, meet a favourite author or two, and discover new favourite authors. Why hold a book fair? Books are hard to sell. This made me want to do something to make it a bit easier. Not just for myself, but for other writers too. You might be thinking, how are books hard to sell? Can’t I just walk into a bookstore and buy them? What about online? Can’t I just buy them there? Sure, you can do both those things. But you’re not necessarily going to find the best books by doing that. Just because a book is online doesn’t mean it’s going to be visible there. Take for example fellow BookMarkIt! organizer and author Pat Flewwelling’s first Helix book, Blight of Exiles. Despite thirteen excellent reviews on Amazon.com and a 4.7 Star rating, it’s still sitting at #10,911,700. And you might be surprised to learn that a lot of good books aren’t even in bookstores. Most major book retailers don’t carry books by independent and self-published authors. There are a lot of reasons for this, starting with lots of high octane competition and limited shelf space. As you can imagine, this is a bit of a challenge for those who don’t get shelf space. Independent publishers are committed to publishing voices you’re not going to find elsewhere. Here in Canada, that often means Canadian voices. These are publishers willing to take chances, not wholly driven by the bottom line. 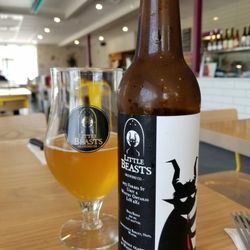 They are like craft brewers, except instead of producing beer, they produce quality books, every bit as unique, distinctive and flavourful as the suds produced by your favourite craft brewer. Also, in the last decade or so there’s been an explosion of self-publishing. Costs have gone down and quality has gone up. Unfortunately, like the books of many independent publishers, these books don’t usually make their way into bookstores. One day I took my book to a bricks and mortar Indigo bookstore to sell it. Before I could do this I had to purchase several copies of my book from my publisher to have copies to sell. This was a fair investment to begin with. Indigo kindly gave me a table and a chair and a prominent spot on their floor. I met a lot of nice people and sold nine books that day. Unfortunately, Chapter’s non-negotiable policy is to take 45% of the sale price of each book sold. This forced me to charge a rather high price for each copy of my book to break even. At the end of the day, after Chapters took their share, I made a little under two dollars profit for that day’s work (never mind all the work that went into creating the book in the first place). I don’t see the point of ever trying to sell my book at Chapters again. Fortunately there are other avenues to sell books. Farmer’s Markets and Dealer’s Rooms at conventions, for example. Still, although these places don’t typically take a share of your profits, you are required to rent a table. The cost of renting a table varies, anywhere from $10 a table (at a Farmer’s Market in Summerside, P.E.I.) to over $150 a table (at a science fiction convention in Toronto). Sometimes you can share a table with another writer, which helps a lot. But if you’re shelling out for a table, you need to sell a certain number of copies of your book in order to break even. Whether a convention, a Farmer’s Market, or another type of event at which you rent a table to sell your books, you don’t always break even. Why not? Sometimes the sad truth is that no one wants your particular book. Maybe it just isn’t the right crowd. For example, sometimes these events are populated predominantly by writers as opposed to readers. So you wind up trying to sell your books to other writers who are also trying to sell you their books. This is not entirely an obstacle as writers are a uniquely supportive lot who frequently buy one another’s books. I have a lot of friends’ books on my shelves. Of course, these examples are not the only means by which writers can sell their books. Many writers do book tours and interviews. Others successfully do outreach to libraries and schools which raises their profiles while giving back to their communities. But the more opportunities writers have to sell their books, and the more opportunities readers have to find those writers, the better it is for everyone. Which is why my friends and I decided to create BookMarkIt! Our goal is to create an attractive environment to expose as many writers and readers to one another as possible. And we want to do so at as little cost to writers and readers as possible. This is why admission to BookMarkIt! is free. BookMarkIt! itself is a non-profit organization. And writers can rent tables as inexpensively as we can manage, and share those tables if they choose. Whitby Curling Club, which, on May 4th, 2019, we’ll be renaming the Whitby BookMarkIt! We’ve decided to hold BookMarkIt! 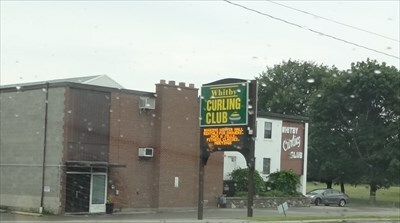 at the Whitby Curling Club, located on Brock Street, the main street in Whitby, just north of Whitby’s downtown. There is a lot of traffic on this road, and the Club has a huge sign outside to draw people in. We’re placing Food Trucks in the parking lot to attract further traffic and create a bit of a stir. It will be a family friendly event. The Whitby Curling Club itself is an attractive venue, well laid out inside with plenty of room for vendors and visitors and another whole room we’ll be using for interviews and readings, which we’ll post on social media later to help writers sell their work after the event. And we hope to see you there.